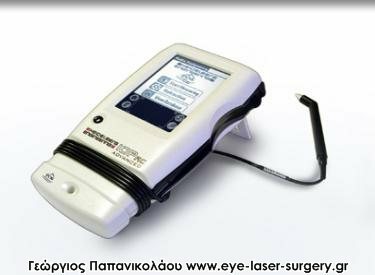 The IOPac is a pachymeter, used by optometrists and ophthalmologists to measure the thickness of the cornea and to screen for glaucoma. It is the first device of its kind to include a touchscreen, IR printing, built-in pressure correction formulas, a computer interface and a small portable size. IOPac was developed in a novel joint venture we created with 2 key functional partners. We took the device from concept to production in less than one year including IP filings and FDA clearance. Our extensive regulatory experience was a key advantage. In this case FDA clearance was awarded within 6 weeks of the 510(k) submission. CE marking and distribution in Europe and Canada followed a few months after the US launch. Our ISO13485 certification and rigorous quality system were key to our success. The IOPac is currently manufactured by StarFish and is distributed worldwide by Reichert Inc.